Moreover we supply a pass for the car. An additional pass costs 7€/table. For technical reasons the plan of the exhibition as well as the arrangement of the individual exhibitors may change without notice from the Staff. Payment must be made ​​in advance. The payment details will be sent via e-mail. The position of tables, chosen according to the proposed plan will be confirmed only after payment of the same. Paid reservations and later cancellations will be refunded after deduction of expenses. There shall be no refund in case of cancellation less than 30 days after the event. The tables not occupied until the opening to the public will be handed to others according to our waiting list. If being late, please contact the organizers otherwise complaints will not be accepted. Further reservations can not be accepted in future from those who reserve tables and without notice do not show up until the beginning of the expo. Vertebrates, invertebrates, plants, books and accessories can be offered for sale during the event. Endangered species (CITES, Bern etc.) must have valid documents when sold. Animals showing evident or possible signs of any kind of illness must be removed immediately from the table. Reservations of those vendors who try to exhibit or sell evidently sick animals will not be accepted in future. The exhibitors who do not adapt himself to the expected norms after the first warning from the organizers or vets will be excluded. Maximum 20% of the exhibited animals can be wild catch. Possible to sell fossils and minerals that are regular. 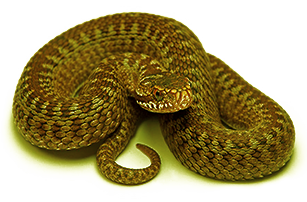 Possible to sell everything needed for keeping and breeding reptiles, amphibians, rodents and insects like: cages, heat sources, light bulbs, substrates, thermostats, decorations, etc. Possible to sell books on the subject of reptiles, amphibians, rodents and plants. Exhibitors who try to expose or to sell animals prohibited will be immediately removed from the expo and their reservation will not be accepted in future. Selling live animals to persons under the age of 14 is possible exclusively in presence and with the approval of the parents. The sale of live animals that produce toxic secretion is not possible to persons under the age of 16. Except for those that loose toxicity under captive conditions or are born in captivity. It's strictly prohibited to take photographs or video on animals, nor to profit, nor for any other purpose. It is not allowed to feed the animals at the fair with live rodents and or dead. It's allowed to feed lizards, amphibians with crickets or other insects. It is prohibited to use or to reproduce the Reptiles Day brand and logo without written permission of the organizers.